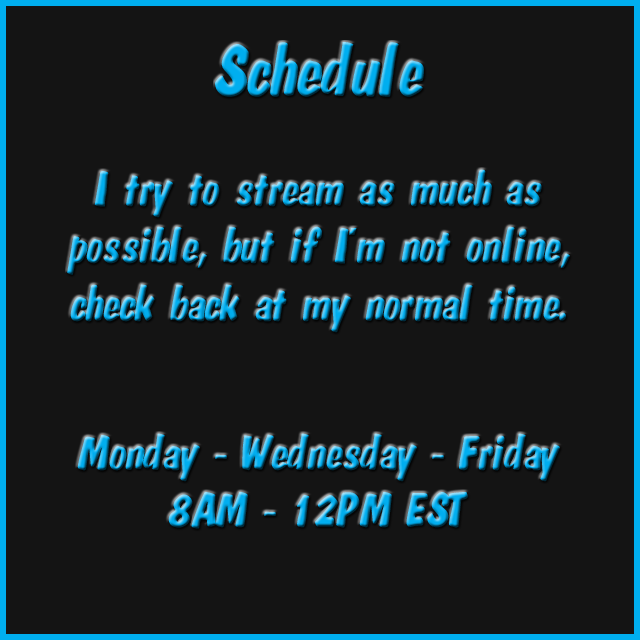 Find me streaming live on Twitch Monday, Wednesday, and Friday from 8AM to 12 PM EST. I like to stream as much as possible, so I may be online right now. If I’m not online, stop by my Twitter to find out when I will be back. I always post stream updates to let you know when I go live. Follow @Hermit_theCrab on Twitter to get updates and find out when the next stream will start. When I’m not live, check out my latest YouTube video.